From start to finish, Werner is in control throughout the entire manufacturing process A fully integrated manufacturer and distributor, Werner is the world leader in ladders. Our products are backed by over 60 years of state-of-the-art design, testing, and life-cycle evaluation, making the name Werner synonymous with ladders. We manufacture a complete line of professional-grade products suitable anywhere from home to the most demanding job sites. In fact, Werner ladders are found on more trucks and job sites than all other ladders combined, and we are tremendously honoured to have earned that level of trust. Werner truly is the professional\'s choice in ladders. Never satisfied or willing to let others catch up, Werner products demonstrate a rich heritage of design and manufacturing innovation. Our products are expertly crafted using cutting edge technology, and Werner continually improves manufacturing techniques through ongoing research, development, and facility investment. 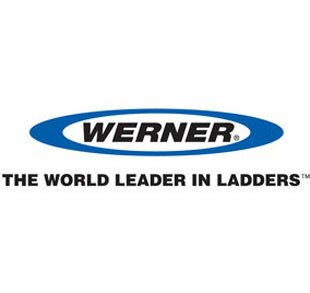 Our dedication to quality is evident in several industry leading developments over the years ranging from The Werner Performance System, which helps ladder buyers choose the perfect ladder while educating them about ladder safety, to the The EDGE® Professional Bracing system to reinforce and protect ladder rails, improving safety and extending the life of your ladder. Werner products are built to meet or exceed all applicable Australian and New Zealand Standards (AS/NZS 1892). Indeed, supplying the safest equipment possible is our top priority. As Werner Co. expands into new markets and product offerings, our number one goal will always be maintaining your trust, earned over generations. Backed by over 60 years of product innovation, Werner products are recognised for their durability and quality and are developed to meet the rugged demands of any tradesperson. Werner ladders have a reputation of being the most durable ladders on the job.